Whether the Internet presence in the furniture industry has been twenty-five or thirty years for certain, it has had an impact on how consumers shopped for and purchased furniture. From little more than electronic “Yellow Pages” to a full product catalog, the internet has become the go-to source for inspiration, information, and for some, the point of purchase. Combining an online presence with a brick-and-mortar store offers retailers a competitive advantage, which we will explore in this issue. Prior to the Internet, consumers followed the recommendation of friends and family as to which retailer to shop. Today, that source is one of the last steps that a consumer will process on the way to a purchase. The graphic below presents the steps by two distant groups: the Millennials and the Generation X / Baby Boomers. It is obvious from the accompanying graph that for over 50% of consumers that have purchased furniture, the first stop is research on the Internet. According to the same research, in total 72% of all consumers use the Internet during the purchasing process. The conclusion is that the Internet has become the advertising medium of choice for the furniture purchaser. This is not to say that Internet advertising is the only source because the consumer must be influenced by other sources, to be enticed to visit the site initially through other traditional or digital advertising. The Internet is a primary touchpoint for everyone, but not everyone is using it for advertising purposes. Without a doubt, the Internet is embedded into the buying process. An important measure is the differences between traffic into the store and the unique visitors to the website in that more than 72% of consumers visit the retailer’s site before purchasing. The graphic below illustrates the measurement. It is true that prior to visiting the retailer, the consumer may have visited the retailer’s website in the prior month. Based on FurnitureCore research, 25% of the difference between visits to the website and a visit to the store consists of consumers educating themselves and indicates they will purchase beyond the month. Research from PERQ, a company that boosts website conversion through online guided shopping solutions, shows this at the beginning of the sales funnel, but 17% will buy within 2 weeks. Hill provided some interesting statistics (average). A major concern with the design of the website is the impact of intruding into the consumer’s web-based research. It is documented that unsolicited intrusions increases the “bounce rate” of the site. With all brick and mortar retailers facing declining traffic, trying to influence the consumer at the one place they know potential customers (72%) will make that decision to shop is understandable. When consumers that had purchased furniture were asked to rank the advertising media that had the most influence, the internet was number one for all consumers under 35 and 31% for older consumers. The graphic below presents the influence of all. The importance of the other media should be noted. For example, Direct Mail is number three for Millennials and number two for older customers. The major question for brick and mortar retailers is ‘when will the Ecommerce bubble stop’? 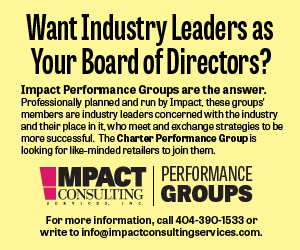 Impact Consulting, a management consulting and retail operations firm specializing in furniture and home furnishings, offers research for durable furniture purchases which states that currently the level is comparable for both consumers under 35 and consumers over 35. The table below illustrates. Ever since the Internet became commercially available around 1989, much has been chronicled about how it would, and indeed has, changed everything. Just consider how it has transformed the way we stay informed, communicate, socialize, work, and shop. There’s simply no denying that in a short 30-year span, the World Wide Web has profoundly impacted our everyday lives. Changes in consumer behavior are also driving a digital transformation for home furnishings manufacturers and dealers. Since the launch of the first ecommerce websites early and mid-1990s, companies large and small have embraced the connectivity, convenience, and power of the Internet to support our changing lifestyles. Early marketers of books (Amazon 1995), online auctions (Ebay 1995), and other inexpensive and easy-to-ship products launched a new wave of ecommerce. While some home furnishings fall into this category, major furniture purchases and bulkier products like sofas and beds that typically require more research and consideration came online later. While furniture has lagged many other product categories in ecommerce, the relatively young online market for furniture has grown significantly in recent years. According to the U.S. Census Bureau, in 2004 ecommerce sales accounted for only 3.2% of the total furniture industry with store sales making up 93.4 %. The share of ecommerce grew to 15.3% in 2017, mostly at the expense of in-store sales. Since then, market analysts widely report steady growth of online home furnishings that consistently outperforms in-store growth rates. His observation is supported by analysis conducted by Statistica that shows 58% of U.S. home products in-stores were ‘digitally-influenced’ in 2016. Similar studies conducted by Google and others indicate that furniture sites will influence about two-thirds of all furniture sales in 2018. Looking at modern industry websites, it is easy to understand this growth. In contrast to sites of 15 years ago, new technologies provided by vendors have vastly improved the online shopping experience. Difficult to navigate webpages have been replaced with fully integrated merchandising and ecommerce platforms. Flat product photos are being replaced with 3D assets that engage consumers to view products from every angle, get more accurate color representations, drape various upholstery fabrics, configure and personalize their product choices. Augmented Reality (AR) tools take the experience to a whole new level by enabling shoppers to virtually bring new products into their own home to confirm the look, fit, color, placement and more to be confident in their purchase. While many more advancements are certainly on the way, industry-focused technology partners will not only participate in the change – they will likely continue to be the agent for change in the home furnishings industry. The Internet hasn’t impacted everything equally or in the same way. On one hand, goods and services where “information” makes up the bulk of an offering – think music, books, photos, advertising, banking, TV, radio, newspapers and the like – have been fundamentally transformed. On the other hand, areas involving more physical bulk have been more incrementally altered, mostly around the edges where information impacts a transaction that is primarily physical – think restaurants, car services, travel and, of course, dating. Retail is somewhere in the middle. While shopping is an information-rich process, particularly in the area of marketing, it can also be deeply dependent on physical interaction with a product and its delivery. Today, just under 10% of retail sales are transacted online with Amazon on track to do 50% of those transactions this year.Most of this volume is in easy to understand, easy to ship items, where the Internet’s strengths are most easily leveraged. It’s in more complex categories like furniture, however, where the Internet’s impact on retail can best be evaluated. And, it’s by looking at these categories as the other 90% of retail transforms that the Internet’s future impact on retail can best be predicted. Despite looking the part, Jeff Bezos wasn’t a bookseller who put his bookstore online. Bezos was a hedge fund manager who shrewdly selected books to be the beachhead for Amazon, the website he launched in 1994. Books - easily understood, easily shipped, with a brick and mortar shopping experience easily disrupted by providing vast selection – proved right in the internet’s retail wheelhouse. Amazon’s success led to a frenzy of copycats, applying the Amazon model to less ideally suited categories powered by a torrent of capital willing to fund them to do so. The fundamental premise of these early dotcom models was the promise of vast selection at low prices, without the real estate or personnel expense of opening a store. In other words, more stuff, cheaper. In categories where stores didn’t provide much value to shoppers, dotcom models thrived at the expense of suddenly useless brick and mortar players. Retailers like Blockbuster, Borders and Tower Records, all stores that essentially sold physically packaged information, didn’t stand a chance. At the same time, retailers whose stores did provide value to shoppers, as a place to experience and/or efficiently obtain a product, rebuffed early dotcom insurgents like WebVan, Pets.com and, of course, my Furniture.com. developed amazing technology for marketing and selling furniture. The economics of doing so, however, were horrendous. Furniture isn’t easy for shoppers to understand online. As a result, we had to lower prices significantly to prompt “it’s so cheap, I’ll take a chance” purchases. And, once we sold a sofa, the expense of delivering it was punishing. Our delivered margins were minimal, which when combined with the usual marketing expense of attracting shoppers online meant we lost hundreds of dollars on every order. When Furniture.com ultimately closed, I spoke to a number of top 25 furniture retailers who were unsurprised by - and admittedly somewhat happy about - our demise. But, they also hinted that we were on to something, sharing that they’d had hundreds of shoppers in their stores carrying Furniture.com printouts, ready to buy. It wasn’t that Furniture.com hadn’t impacted furniture retail it just wasn’t the same type of impact as the internet had on categories more readily suited for an Amazon box. With ill-suited dotcoms closing in droves and VC funding evaporating in the “nuclear winter” that followed, it seemed possible that vast swaths of retail would remain unaffected by the Internet. Then, Steve Jobs relit the Internet’s retail fuse. The first iPhone launched in 2007. Suddenly the Internet wasn’t confined to a bleak looking PC or laptop in your home or office. It was in your hand, it was personal, and it was everywhere. Moreover, the iPhone unleashed two radical new capabilities. Its camera unlocked social media and democratized content creation. GPS finally anchored the Internet in the physical world. Suddenly, the Internet was ready to disrupt two key pillars of traditional retail – media and location. Whereas the first wave of Digital Retail focused on replacing the store, these new capabilities made the second wave about enabling stores. As a result, this wave has had a far more profound impact on more of the retail landscape, particularly on big-ticket categories like furniture. Furniture retailers’ tried and true tactics of attracting customers – TV, Print and Radio – have been upended, with the internet both garnering shoppers’ attention, and raising the bar for smart, personalized advertising that traditional media can’t match. The Internet is now in shoppers’ hands while they’re out shopping, raising the bar for synchronicity between the information they get online, and experiences in physical stores. At one time, the Internet represented little more than a cheap way to open another store. It was, for many retailers, optional. Most retailers in big-ticket categories like furniture sat out that first phase, deciding that Amazon-style ecommerce wasn’t for them. Today, a great retail website – the first place people land after seeing a retailers advertising, the means by which shoppers decide to allocate scarce time to visit a physical store, and a constant mobile companion inside that store – is no longer optional. Not just another store, a retailer’s website must now be their flagship store. We are still in the early innings of the second wave of digital retail, as retailers adopt digital marketing strategies and point them towards increasingly powerful websites. For most retailers, there is a long way to go in both of these areas. In furniture, this transformation is just beginning. At the same time, this transformation, nascent as it is, isn’t hard to predict. Other categories further down the Internet adoption curve provide a playbook for how retail will evolve in categories like furniture. Perhaps more interesting is how furniture will evolve differently from other categories once this baseline digital competency is established. How will the Internet impact furniture retail and other big-ticket categories next? That has little to do with what the Internet can do for furniture retailers, and everything to do with what shoppers want it to do for them. When it comes to furniture and the Internet, shoppers want something different. Whether they wanted help shopping, or wanted to go it alone. The result was striking and powerful evidence of something that those of us in this industry have felt for some time: Furniture shopping is a uniquely omnichannel experience, on both of these dimensions. 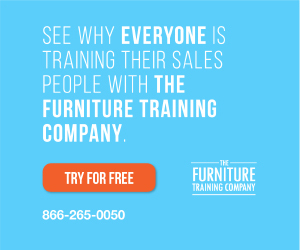 80% of people prefer to shop in stores for furniture, and 50% want help when they do so. It is in enabling and activating these shopping preferences that the Internet will ultimately most deeply impact furniture. Just like Amazon did for shoppers’ simpler preferences for books way back when. In furniture, that means making store visits easy and efficient – as simple as making a reservation with Open Table or getting a car with Uber. Engaging one of retailers’ biggest assets – salespeople, currently on the sideline of digital retail – need to be providing the assistance shoppers want, both online and off. It is meeting unique requirements like these that will unlock the Internet’s true impact on furniture, and on the other 90% of retail. Arguably, the Internet’s only superpower is to get people what they want more efficiently. Thankfully for furniture retailers, furniture shoppers want a store and some help. To the extent that Amazon-style businesses (or Amazon itself) capture share in furniture, it’s because brick and mortar retailers have failed to deliver an experience that feels easy, relevant and personalized. Those retailers who leverage the Internet to do so will prove as disruptive to the future of retail as those first dotcom insurgents, twenty-five years ago. The Internet has revolutionized the computer and communications world like nothing we’ve ever seen before. It is the ultimate mechanism for moving information. From its roots on the PC or laptop, to today’s mobile devices, the Internet is everywhere including in shoppers’ hands before, during, and after shopping. As technology continues to evolve we need to harness the emerging technology to have an impact on the way home furnishings companies market and sell their products. Andy Bernstein, CEO of FurnitureDealer.net agrees. Whether you are a consumer shopping for furniture, a retailer who wants to find perspective customers, a manufacturer who wants to sell to a retailer, or you simply want to share your product and tell your story to end-consumers, moving information is part of the equation. Fifteen years ago, many in the industry thought it was too costly to extract data from a retailers POS system and too labor intensive to include pricing on websites. Additionally, retailers were concerned about making their prices available on the Internet. The initial thought was that once a retailer puts their prices on the Internet for the world to see, it would become easier for a competitor to beat that price, or for a consumer to use that price as leverage for negotiating elsewhere. There were pros and cons for both sides, but the mindset was “we need to focus on other things right now”. That’s no longer the case. 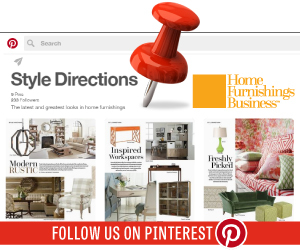 The retailers’ website is where many customers are making their initial furniture purchasing decisions. Searching for furniture that fits their needs and finding information about cost and delivery is a time saver. Visitors must have a good experience or we risk losing them as potential customers. Offering a sub standard shopping experience is something retailers can’t afford to do. Now, mobile is changing the game. Devices like smartphones, iPads, and tablets are dramatically changing the way consumers shop and how furniture retailers should manage their business. We know that customers are using their main weapon of choice— the phone in their pocket— to access the Internet. With 85% of all searches for furniture beginning on the web, and mobile web searches exceeding desktop searches, furniture retailers must have websites that are optimized for mobile. Mobile marketing is also becoming increasingly popular for retailers with tools like location-based marketing, SMS marketing, and mobile search ads allowing retailers to customize offers at just the right time. “It’s not easy to shift the mindset to be a mobile-first company, but the consumer shifted a long time ago and the furniture industry must do the same,” Bernstein said. Bernstein says Amazon.com is having a profound impact on consumer expectations. He believes experience has trained us to be frustrated by any tiny little thing that is not quite as good as the Amazon experience. But, big box and brick and mortars are responding to Amazon’s Prime Day. Target and Best Buy have done some incredible things to make it so that consumers can use the Internet to find which products are available at which locations. “I’ve used both platforms and while Best Buys’ was a good experience, at the same time it was horrible compared to what Amazon provides,” Bernstein noted.